had hit the place red, green and white lights all over . 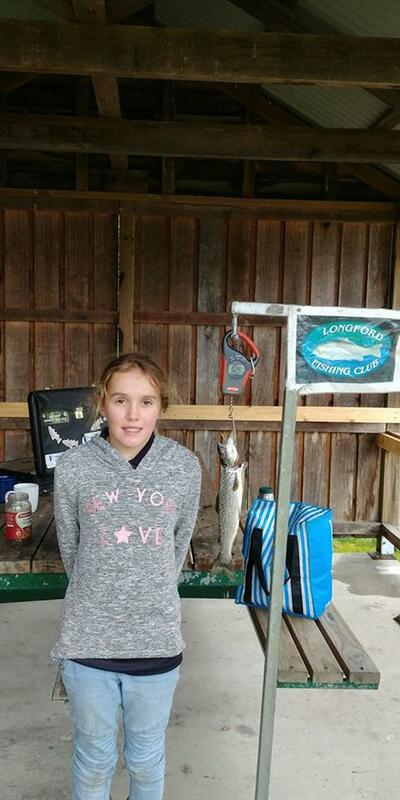 Morgan Leath : The Club comp at Lake Barrington was a great weekend. Those attending had an excellent time. Several small fish were caught and released. Myself and William caught the only Rainbows with the rest caught being Browns. Mystery weights: William Leath, Gordon Bayles and Dillon Smith. ​Here are a few photos from the weigh in following the Jimmy White Open Rivers comp. The club put on a fantastic BBQ to follow. Snow took out first place with heaviest fish. Ron Denne Open Highlands water comp. 10th & 11th November. The Ron Denne Open Highlands water comp is now past. The winner of this event Is Rosely Johnson with a fish weighing 1.138 out of Woods Lake. Heaviest bag of 3 fish won by Helen Tubb out of Great Lake. It is the first time that a lady has won this competition. over the hill at Woods lake near perfect conditions with calm sunny light breeze a small chops on the water. A good weekend had by all. Sunday saw a rather overcast calm day after all the wind and rain we had. At our final Kid's day at our dam for the year there were 28 people, 13 of those were juniors. There were only five Trout weighed in quite a few perch and a couple of eels caught. The fish were not huge but were chock full of food. The BBQ was most appreciated even the old jolly fat man in red snuck an esky in with some goodies with out being seen. Merry Christmas and a Happy and safe New year. Lagoon Beach 9th and 10th Feb.
Kevin Littlejohn Comp. 8th and 9th March. The Kevin LittleJohn comp was held at Arthurs Lake over the past weekend. 12 members fished the comp with 15 ( I think) fish caught. The weather Saturday morning was a bit bleak with a slight mist and not much wind but the afternoon got a little breezy. Nigel Clark won the comp, Kane won the best three fish, Helen and Tom won the two mystery weights and Julie won the attendance prize. Some members fished Woods Lake Friday and Monday. A great weekend was had. Great Lake Comp. 23/24th March. The great lake comp was run over the weekend with 9 members attending. Saturday was a slow day with windy conditions and only one fish caught by Jake . Sunday was a bit better with 10 fish caught. The weather was very kind to us with calm conditions first thing. Well another kids dam day has come and gone with only one fish caught by young Jett, a rainbow .596 kg. There were 11 children in attendance .The day started out calm sunny then the wind came up strong from the south west. Still it was a great day with all the kids going home with prize. Thank you to all the people that gave up there time. Cheers Nigel.